Medical school at University of MS Medical Center from 1991 to 1995, during which he began his Army commission. One summer was spent in physiology research and one summer was spent in Officer Basic Course in San Antonio, TX. 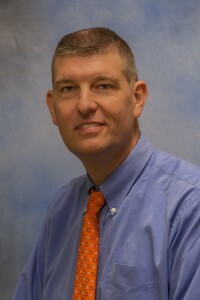 Deciding on Family Practice, he trained at university of TX Health Science Center in Tyler, TX. Upon completion of residency, he began his army career at Ft Sill, OK. There was a busy practice of delivering babies to taking care of newborns to treating retirees. He received extra training in the treatment of chemical agent casualties; he attained the rank of major before leaving the army for civilian practice. Crystal Springs, MS, was home from 2001 to 2004, and that is when he came to join Kosciusko Medical Clinic. With a special interest in treating orthopedic and sports injuries, he sees all ages. He is on staff at Baptist Medical Center-Attala and is medical director for Kosciusko Group Home. Dr Holman married Angie in 1992; they enjoy cycling together. They have 4 children. Michael Jr will enter med school in fall of 2018. Nathan is a Junior at MSU and sister AbigaIl is a freshman. Emi is a high school senior. Michael is also DOT certified.